Rankhol is a village which is dependent on Rishbhatirth in the Sakti block of Janjgir-Champa in Chhattisgarh. Rajkumar Singh, a resident of this village is a teacher. Rakumar is the only person among the Pahadi Korvas, who struggled to study till the 12th standard as now he is educating the children of the tribe after becoming a teacher. For this tribe, cut off from the mainstream, Rajkumar is no less than a beaming ray of hope. Inspired by him, other families of the society are also enrolling their children in schools. There is a new revolution in society. Let us tell you that the nomadic tribe is only two percent of the population of society. There are 250 to 300 people of the Pahadi Korava tribe. They keep changing their location for their seasonally adapted livelihoods. Many people of the Pahadi Korava tribe are still deprived of education. This is why the families of the Korava tribe goes through a lot of trouble. Breaking these barriers, Rajkumar passed the Higher Secondary Examination four years ago in 2014. Now he is teaching other people. To give his 12th class examination, he had to go to the Beharchuan village in Korba district. It was eight km away from Rankhole. Rajkumar travelled on foot and returned back the same way after taking the exam. Rajkumar passed his class 8th examination in 2008. Then his studies were hindered because of family problems. Therefore, he left school. Somehow things worked in his favour, and two years later, Rajkumar got an opportunity to start studying again. In the year 2012, he took his 10th class examination, which he successfully cleared. Then he chose biology and started studying it further. His father Jai Singh and mother Baisakhi Bai are very happy. 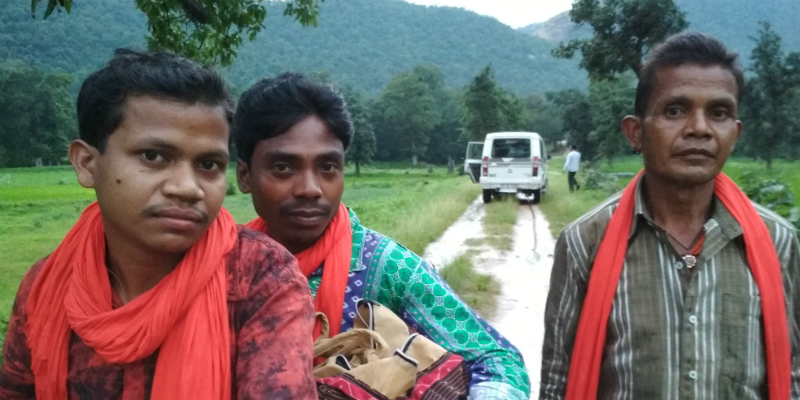 Rajkumar, who comes from a place with no facilities, got the support from the villagers too. Also, NGO official RK Shukla, who is working towards the upliftment of the Pahadi Korva tribe in Korba and Janjgir-Champa district, also encouraged Rajkumar. Shukla has made every possible attempt to give Rajkumar the benefit of various schemes of the Government and its benefits. The success of Rajkumar inspired the Pahadi Korva tribe. Government schools opened up in the mountainous Rankhole. The children started studying. The government had earlier installed solar powered plants. Now the pillars and transformers have been installed and electricity has been provided to the village. The people of Pahadi Korava tribe are getting the benefits of the Government’s schemes. Earlier it used to be difficult to cross the mountainous regions, but not anymore. There are 90 families in the village and 30 percent of them belong to the Korva tribe. The government is running various schemes to connect them with the mainstream. Arrangements are also being made to provide basic amenities like water, electricity, roads etc. Government officers continuously make frequent visits to the ongoing development work in the village. They are being made more aware of the benefits of education. Their health is also being taken care of. There is a lot of enthusiasm about this in the villagers and they never seem to be tired of praising Chief Minister Raman Singh. It is said that initially, reaching the village used to be very difficult. There was solar light, but it never lit up. But the Government has done a good job by addressing these two issues.